Photo of Nick Twemlow (left) by Michael Marcinkowski. 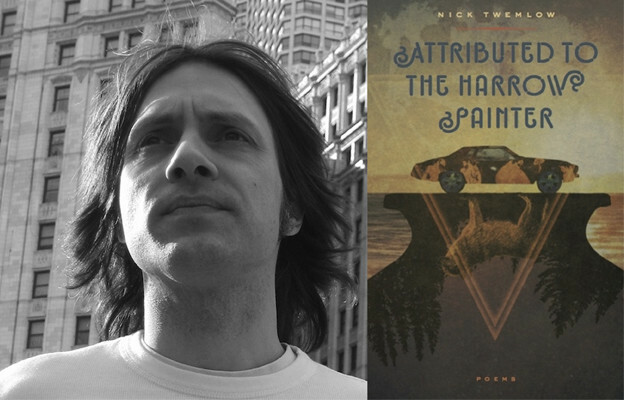 The poems in Nick Twemlow’s second collection, Attributed to the Harrow Painter, address art as they do adolescence, family, trauma, and addiction: as strokes of what make both the artist and the now-father. The speaker of these poems is in his midlife and the father of a young son, whom he cannot parent without being informed by the forces and relationships that have defined him. The “I” of this collection may ironize or chide the self, but it does not deny that the “self” informs the work in spite of life’s free radicals. Through the insistence of the “I,” Attributed to the Harrow Painter not only engages with the lyric tradition but holds the self accountable through confessional detail that appears to be conjured from not the surreal but instead the literally personal. The use of the “I” alongside figuration can withhold or obscure or eschew accounting for the power of its use — such a figurative use (persona, per se) is freeing in part because it transforms the speaker and their material conditions. However, the act of naming in this collection in conjunction with the “I” discloses identity, revealing the personal through the actual distribution of the book. In this way, Twemlow echoes O’Hara’s naming of both places and people, but especially people. Because of the nature of naming, one cannot avoid asking about the power of naming and the possible safety of the poet doing the naming. If allusion and figuration have historically been methods of addressing that which is otherwise threatening (or ominous, as in Twemlow’s series, “Responding to My Father’s Question”), is Twemlow’s act of naming a demonstration of power and control? Is it an illustration of safety afforded by his identity? Or is it an act of reclaiming, an act that always puts the poet at risk, always makes the poet vulnerable (as in Twemlow’s depiction of abuse by a mentor in the titular poem, “Attributed to the Harrow Painter”)? This model gives students a clear task but it is extraordinarily limited and limiting. It leads to neglect of the most salient features of many lyrics, which are not to be found in ordinary speech acts — from rhythm and sound patterning to intertextual relations. Here, the poem appears to break from the music to account bluntly for a personal experience, and yet the brevity of the line reveals the slant rhyme between “class” and “gap,” bridging the literal and the figurative with music — in a sense joining lived experience and artfulness, information and music. In this first poem, craft crashes into the thesis as the speaker, the father, details his son falling and biting off his tongue, and through the son the speaker/father lisps lines from Robert Hass’s oft anthologized “Meditation at Lagunitas”: “All the new finking / Is about floss. / In this it resembles / A ham sandwich.” Though darkly comic, this injured reworking of Hass’s poem about the futility of language and the inevitability of loss ventriloquized through the speaker’s son stings of parental fear. 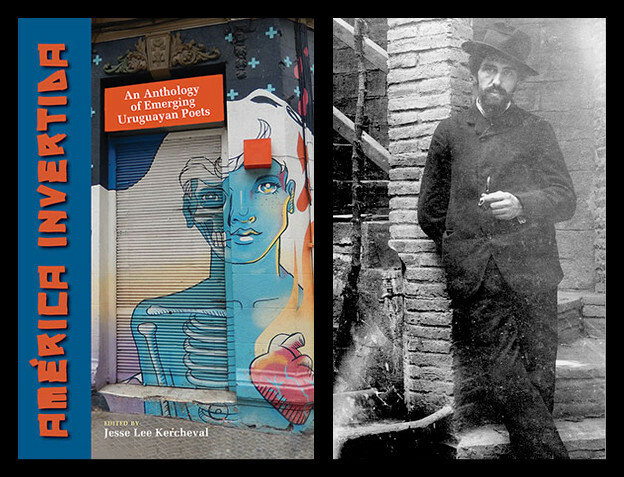 And failure itself — or flaw — is central to this collection. The Hass is uttered despite the hindrance of the bitten tongue, an obstacle the speaker confronts and pushes past; the “ham sandwich” replaces the original “old thinking” of the Hass, a further (literal) obstacle for the injured. This intentionally lisped reference to Hass is peripheral to Hass’s own remark in “Meditation at Lagunitas” that, “a word is elegy to what it signifies”: Twemlow invokes Hass not through direct reference to apply the meaning of the original words to his own life/poem, but through sound — an echo, yes, but like an echo, altered. The original line cannot be uttered because the mouth uttering it is a different mouth. Humor aside, the son of the scene is speaking through the poem, the voice of the father, and is thus inflected with the life of the father, the father’s thinking — wisdom, failure, and otherwise. In both of these poems the established, conventional syntax breaks down in an expression of the failure of conventional syntax. Twemlow takes us to the limit of his ability with the sentence and past it to articulate the ineffable nature of experience. In the first passage, the lines are constructed to hold multiple possible meanings, despite their brevity. The line “In the grin the I can’t keep” suggests the impossibility of maintaining happiness (resulting from the self or outside influences) as well as physical rot (death). And the break on “[...] my teeth need immediate / Attention do I look fat” speaks to needing actual medical attention but also to one’s perception of oneself and how one is seen by others. The literal and the perceived are straddled and felt. In the second passage, from the ten-part series “Responding to my father’s question,” the sonic playfulness the book has engaged with is foregrounded, but when coupled with the repetition and consequent breakdown of the naming of subjects, it enacts the struggle to accurately represent, depict, or articulate an experience through imagery. That is to say, if language cannot honor an experience, then the attempt to do so can. The series “Responding to my father’s question” appearing before the final, titular poem, is not unlike ten rungs down a ladder. Attributed to the Harrow Painter begins with the speaker as a father introducing his young son to art, and as the book progresses it looks backwards into the nature of the speaker’s anxieties through an exploration of the past. After the opening poem, we read into marriage, then into the life of the artist; and as we enter the penultimate series, we read into addiction, then into the speaker’s relationship with his own parents — that is to say, the book takes us further into its locus: the nature of family and how it shapes the individuals that comprise the unit. 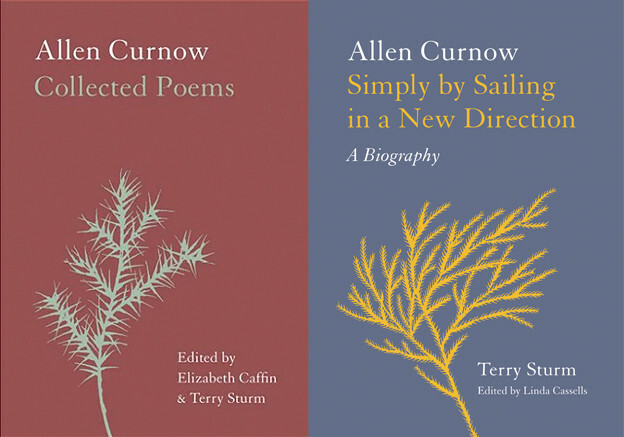 With occasional forays into a distant New York, these poems circle around the Midwest, where Twemlow was raised and where he returned to raise his own family with the poet Robyn Schiff. The very landscape in which the writing of many of these poems took place cannot help but inform the work, and so Twemlow’s own associations with the Midwest — past and present — unavoidably find their way in. Twemlow does not transport the reader to particular places through description so much as his associations and experiences with the named places become facets of his subjective experience. This self-as-product-of-landscape means that place cannot be was and is always is. In a book starkly forward about addiction and failure, trauma is glanced; if the Midwest is known for anything it is its literal silence and its insistence on manners, and unfortunately pain is not permitted in polite company. Similarly, the Midwest is stereotyped in popular culture as normative and conventionally gendered, thus the obscuring of trauma in this collection speaks to not only the inherent vulnerability of revisiting trauma but also — in a book very much occupied by father-son relationships — the persisting association of confession to “weakness.” To be a survivor is to have been in a position of powerlessness, which is the antithesis of America’s construction of masculinity, especially in relation to fatherhood. In a book consisting of nine poems, the final, eponymous poem, “Attributed to the Harrow Painter,” takes the speaker back to the age of twelve. Springing from the retelling of a troubling relationship with an older mentor as a prepubescent boy, the speaker begins as a model for the mentor, a painter. In the poem, the mentor-painter paints the speaker and introduces him to art and literature, which the speaker — the poet — absorbs, only to move on to create his own art with his own tools through film and poetry. A seventeen-page poem, it spans the speaker’s life through art, traipsing from visual art, to film, to poetry, to Jack Gilbert playing pinball — and in the middle of the poem, it states the fact of the work: “What we have on record / Is a script under constant / Revision” (78). 1. Jonathan Culler, Theory of the Lyric (Cambridge, MA: Harvard University Press, 2015), 2. 2. Nick Twemlow, Attributed to the Harrow Painter (Iowa City: University of Iowa Press, 2017), 1–2.